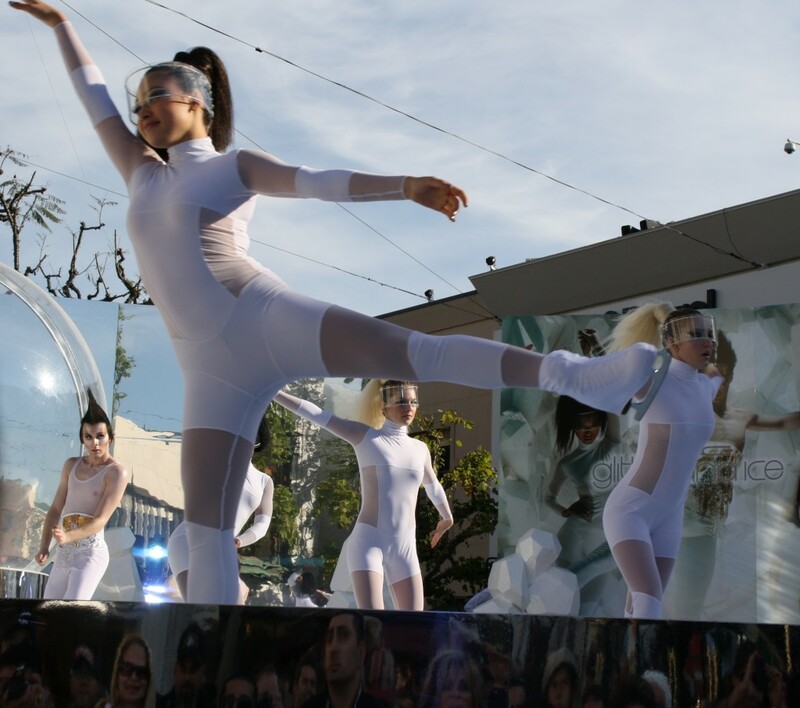 Only in LA would a Christmas celebration at a shopping mall include a futuristically clad ice skating fembot performance, also offering free makeovers (SEE BELOW). Here in LA, we donâ€™t outright tell you youâ€™re ugly. Just subtly convince you. 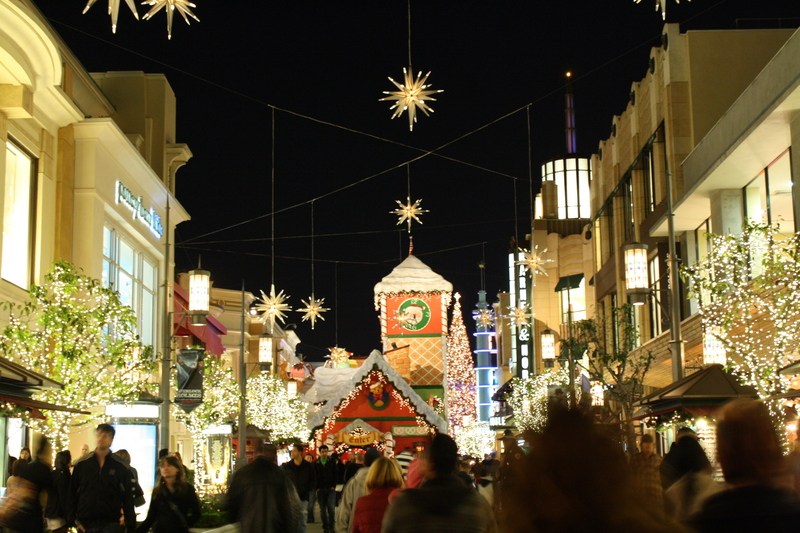 The Grove, LAâ€™s premiere outdoor shopping experience, is usually a fun assault on the senses. From the dancing water fountain to the plethora of European languages being spoken to the curbside cocktails for people watching, itâ€™s always good for cheap entertainment. Until the holiday season, when itâ€™s a test of ones sanity. A test Iâ€™ve often failed. Christmas tree garland looks too much like sturdy, noose material! Finding parking in the 8 story lot becomes about as simple as locating a good spot to put your chair down to watch the ball drop in Times Square! Each level you drive up, you are greeted by a friendly, digital â€œ2â€ and then â€œ4â€ and then â€œ1â€. These are the number of parking spots remaining on each floor. Once youâ€™ve chosen the lesser of the evils, you are usually stuck behind several drivers who will inevitably steal the remaining spots. I miss when bumpers were made of rubber and you could hit other vehicles and incur less damage. 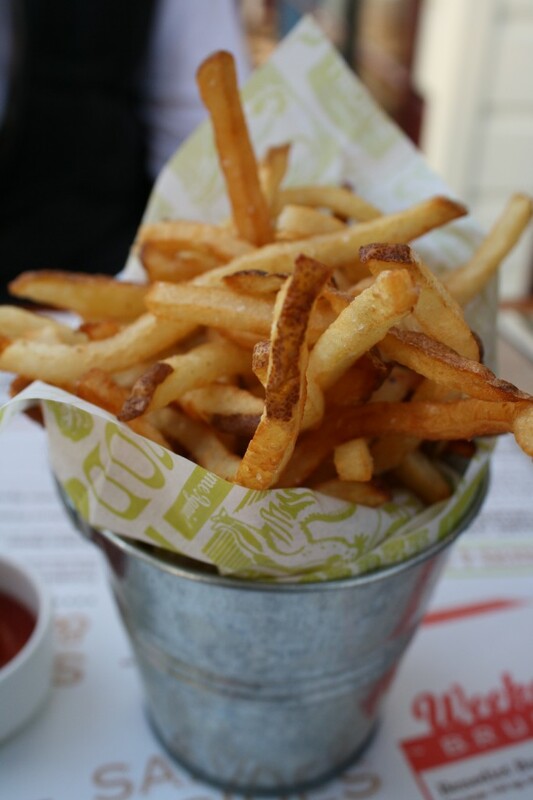 My friend and I wanted to have a few glasses of wine, people watch, do some shopping and then pig out on a burger and fries. Thankfully, it wasnâ€™t as crowded in the actual mall as it was in the parking structure so we managed to still have a great time. Where were all the already parked peeps? Had they tossed themselves off the 8th floor in desperation from the post traumatic stress? 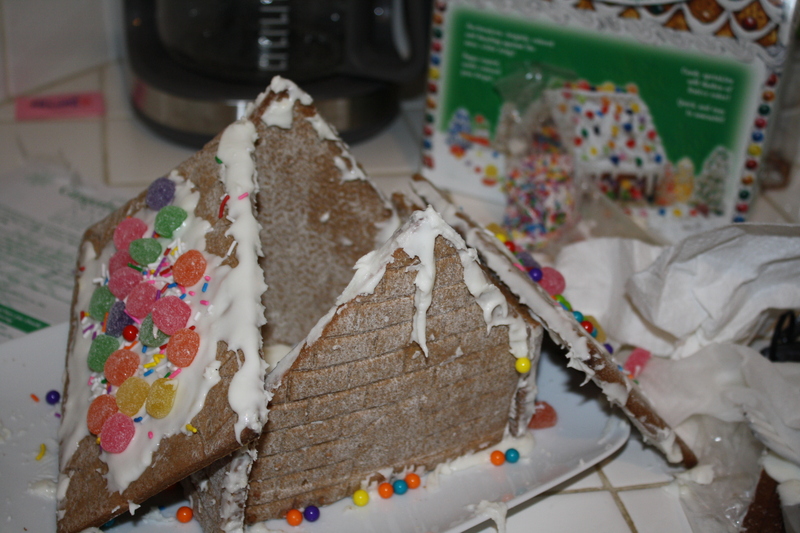 Luckily, those who survive are greeted by an expertly decorated holiday extravaganza. Against your will, you are forced into the Christmas spirit, hands tied, mouth gagged. That’s what makes the Grove so unique at this time of year. The burgers at Short Order are like every other gourmet burger in LA. Too big, too fancy, too messy but basically ok. 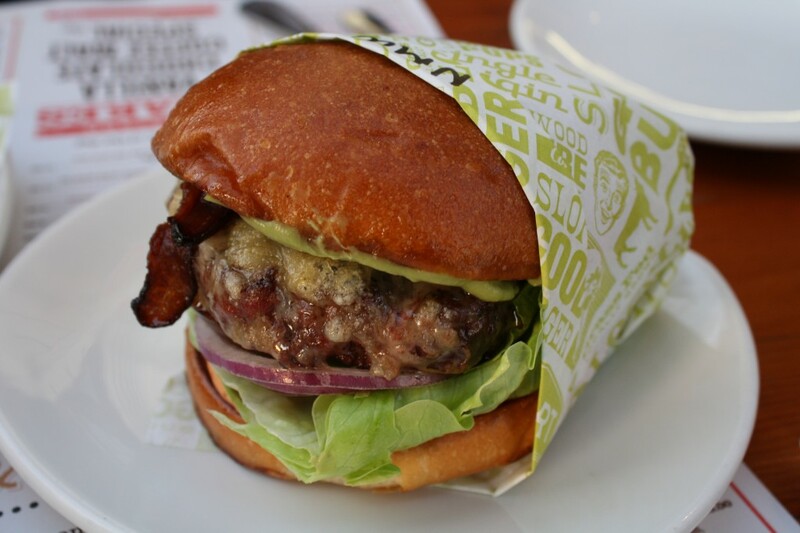 The burger fixings are a bit more upscale than your typical Hollywood joint as the owner, Nancy Silverton, also owns LAâ€™s spot Mozza and co-founded La Brea Bakery! 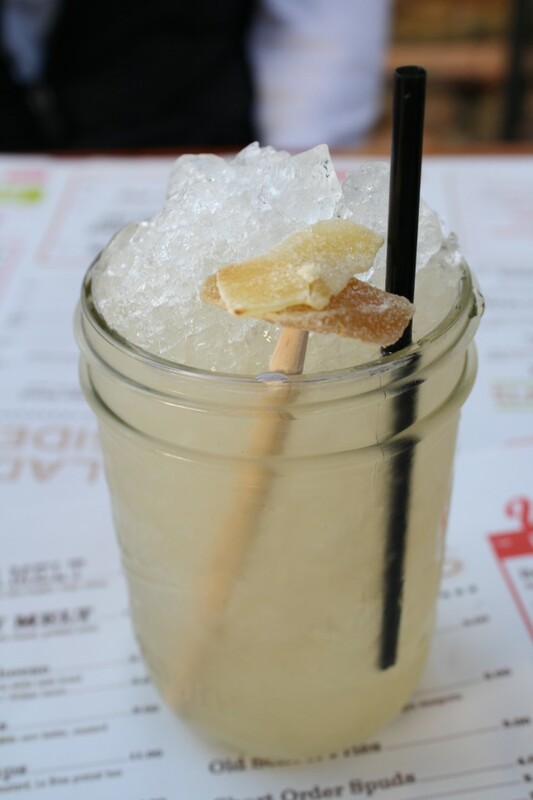 The fries and cocktail (Yes, they serve booze. Bonus points) were both really special. 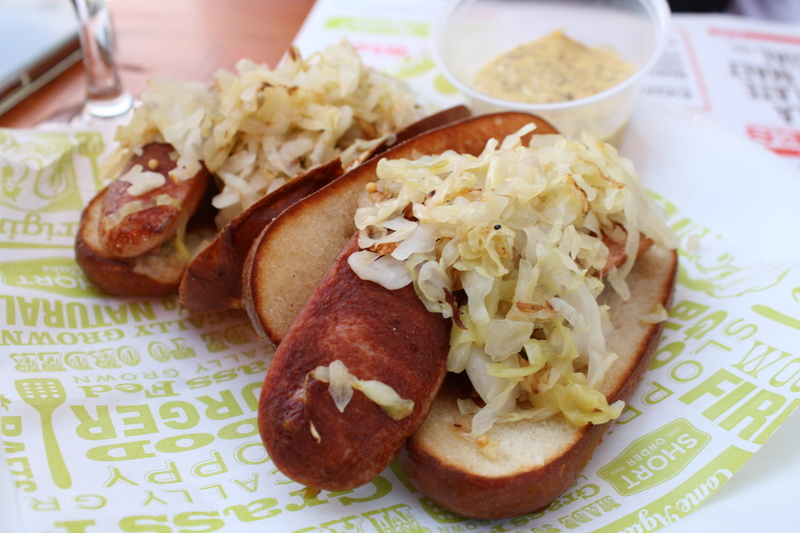 The mini hot dog on Pretzel bunâ€¦.ehâ€¦.mehâ€¦.umâ€¦whatever. Rare photo of Santa in action, upset at being upstaged by these North Pole Nymphs! Notice the expression on the man in the reflection (bottom, center) saying what we're all thinking: "What the hell??" 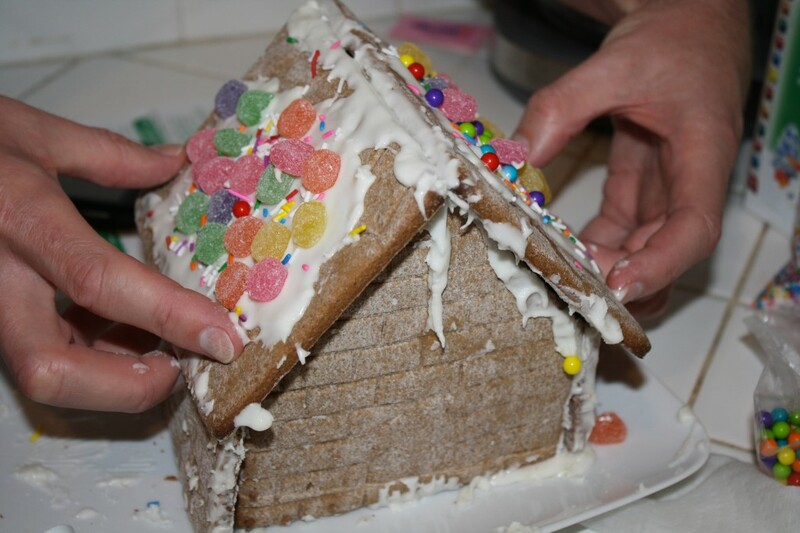 Who knew an architecture or design degree was necessary for Gingerbread house making?? Someone considers this holiday activity, fun? ?